Theaker’s Quarterly Fiction #50 is now available for free download! Welcome to Theaker’s Quarterly Fiction #50! This three hundred and twenty-four page issue – our longest ever! – features fiction from many of our previous contributors, who have returned to help us celebrate fifty issues and ten years of Theaker’s Quarterly Fiction: Antonella Coriander, David Tallerman, Douglas J. Ogurek, Howard Phillips, Howard Watts, John Greenwood, Matthew Amundsen, Michael Wyndham Thomas, Mitchell Edgeworth, Rafe McGregor and Walt Brunston! Plus reviews from Douglas J. Ogurek, Howard Watts, Jacob Edwards and Stephen Theaker. Stephen and members of the reviews team answer your questions in “Ask Theaker’s”! 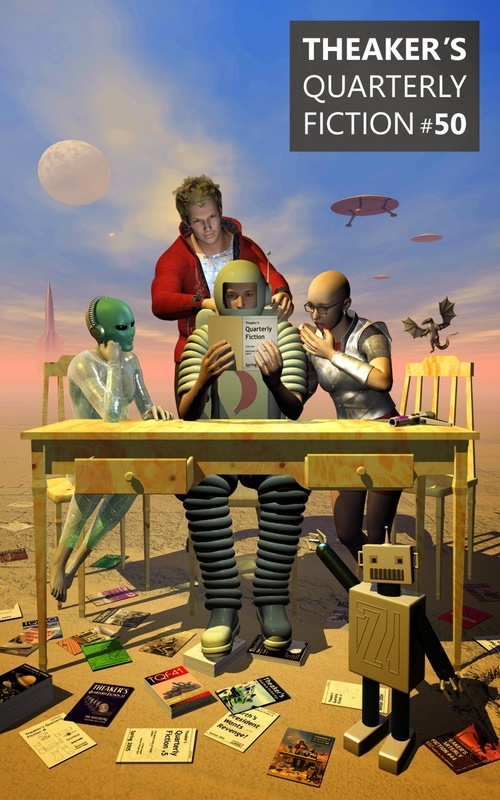 Cover artist Howard Watts takes us through his process in “Artful Theakering”! And there’s a round-up of everything Stephen Theaker read last year but didn’t have time to review! Happy fiftieth to us! Antonella Coriander’s story in this issue, “Crystal Castle Crashers”, is the fourth consecutive episode of her ongoing Oulippean serial. David Tallerman writes “The House That Cordone Built”, which follows “Imaginary Prisons” (TQF29), “Friendly” (TQF31, “Glass Houses” (TQF34) and “Devilry at the Hanging Tree Inn” (TQF37). Angry Robot Books published his acclaimed Easie Damasco trilogy: Giant Thief, Crown Thief and Prince Thief. His excellent blog is called Writing on the Moon, and it’s highly recommended. Douglas J. Ogurek lives in a Chicago suburb with the woman whose husband he is and their five pets. This time he reviews the films As Above, So Below, The Hunger Games: Mockinjay, Part 1 and Tusk, answers question in “Ask Theaker’s!”, and supplies a story too: “Save the Dog”, a sequel of sorts to “NON” (TQF33). See http://www.douglasjogurek.weebly.com. Howard Phillips is a dissolute poet whose contributions to this zine have ranged from the mediocre to the abysmal. In this issue he begins a follow-up to the still unfinished Saturation Point Saga: “Love at First Sight” is the first episode of A Dim Star Is Born. Howard Watts is a writer, artist and composer living in Seaford who provides the cover art for this issue, “Artful Theakering” (an article on his covers for us to date), a story (“Dodge Sidestep’s Second Dastardly Plan”), and a review of Borderlands the Pre-Sequel, as well as contributing to “Ask Theaker’s!”. Jacob Edwards reviews Gatchman and Interstellar in this issue, and contributes to “Ask Theaker’s!”. This writer, poet and recovering lexiphanicist’s website is at http://www.jacobedwards.id.au, his Facebook page at https://www.facebook.com/JacobEdwardsWriter. John Greenwood, co-editor and guiding ethical light, supplies this issue with the story “A Mare’s Nest”. Matthew Amundsen follows up “House of Nowhere” (TQF35) with a new novella, “A Murder in Heaven”. He has written extensive literary and music criticism for various alternative weeklies. He now lives in Minneapolis, Minnesota, with his wife and daughter. Michael Wyndham Thomas writes “One Is One”. We previously published his novels The Mercury Annual and Pilgrims at the White Horizon, extracts from both of which are sprinkled through our zine’s history, beginning all the way back in TQF8. Mitchell Edgeworth writes “Heritage”, sixth in the Black Swan series of stories, following “Homecoming” (TQF40), “Drydock” (TQF42), “Flight” (TQF43) and “Customs” (TQF46) and “Abandon” (TQF47). He keeps a blog at http://www.grubstreethack.wordpress.com. Rafe McGregor provides this issue with “The Wrong Doctor”, which follows “Murder in the Minster” (TQF25), “The Chapel on the Headland” (TQF34) and “The Last Testament” (TQF37). Rafe is the author of over sixty short stories, novellas, magazine articles, and journal papers. His work includes crime fiction, weird tales, military history, and academic philosophy. This is Roderick Langham's fourth outing and takes place twenty-eight years after the misadventure in the Himalayas with which regular readers of TQF may be familiar. Stephen Theaker lives with three slightly smaller Theakers. In this issue he reviews Engines of War, Happy, In the Broken Birdcage of Kathleen Fair, Invincible, Vol. 17, Megalex and The X-Files: Season 10, Vol. 1, and rounds up everything else he read this year. Walt Brunston, follows his adaptation of a Space University Trent episode (TQF13) – we still miss that show! – with “The Morning of Seventeen Suns”, the first astounding adventure of the Two Husbands. Bonus! To celebrate our semi-centenary, all our Amazon exclusive ebooks will be absolutely free this week: Professor Challenger in Space, Quiet, the Tin Can Brains Are Hunting!, The Fear Man, His Nerves Extruded, The Doom That Came to Sea Base Delta, The Day the Moon Wept Blood, The Mercury Annual and Pilgrims at the White Horizon. The ninth season of this long-running series about a pair of monster fighters begins with the boys – well, men now! – suffering the after-effects of their attempt to close the gates of hell in season eight. Sam is in a hospital bed, in a coma, and the outlook isn’t good. The other consequence of season eight’s conclusion was that all the angels fell from heaven, wings burning, thanks to Metatron’s betrayal. One of those angels approaches Dean with an offer. He’ll enter Sam’s body and fix it from the inside, but there’s a catch: Dean mustn’t tell Sam. And so the two brothers are back to keeping secrets again. The world needs the Winchesters as much as ever. A resurrected Knight of Hell is challenging cuddly old Crowley for the crown. Many angels died in the fall, but the survivors are not getting along and are looking for host bodies – evangelists are only too happy to help, even if half of those thus possessed simply explode. This is another good season of a reliable show. I sometimes wish it’d move on from the angels and demons storylines, but when this season also features a Wicked Witch from Oz, werewolves preparing for Ragnarok, a guy who is experimenting with combinations of animal powers, and the return of Cain (played wonderfully by Psych’s Timothy Omundson), the first murderer, you can’t complain too much about the variety. Part of the programme’s longevity must be down to its ability to contain within itself a wide range of moods, from tortured guilt and gut-wrenching horror to postmodern games (would-be god Metatron lecturing the viewer on story structure) and daft humour (Dean learning to speak dog, and in the process coming to appreciate a good game of fetch). The one duff episode this season is “Bloodlines”, a backdoor pilot for a proposed spin-off that didn’t get off the ground. Showing the lives and loves of the warring monster families of Chicago, it seems like an attempt to do Gossip Girl within the Supernatural universe. That may sound daft but Arrow seems to have done well with a similarly unpromising premise. 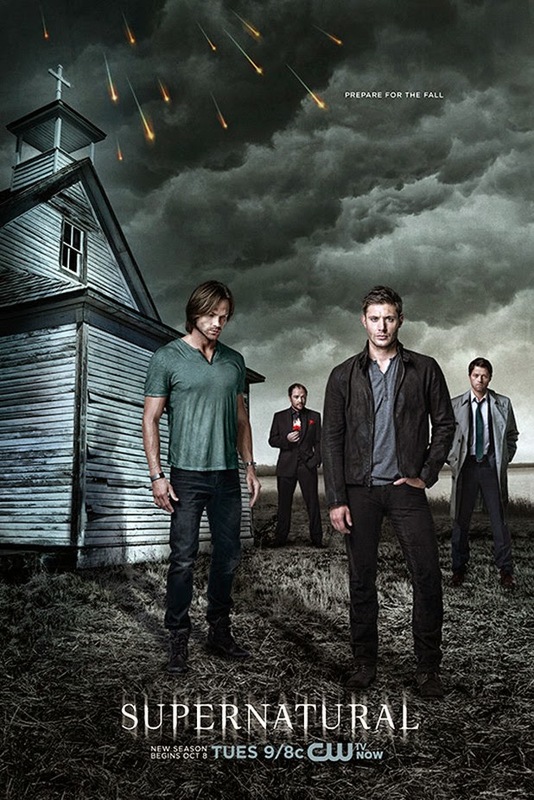 I won’t mourn the spin-off, especially since Supernatural itself has just been renewed for an eleventh series, so no one’s jobs are on the line. Dev Harmer has a new body, not for the first time: this one is heavyset and muscular, with nocturnal vision and hyper-efficient thermoregulation. Dev is a troubleshooter, sent by Interstellar Security Solutions wherever needed to combat the sneaky attacks of the machines. The overt war is over, but the covert one continues, as atheist Earth battles the religious AIs of Polis+ for control of vital resources. Dev died in that war, but his consciousness was saved and now this is his life, hopping from one body to another in hopes of eventually earning a new one to call his own. 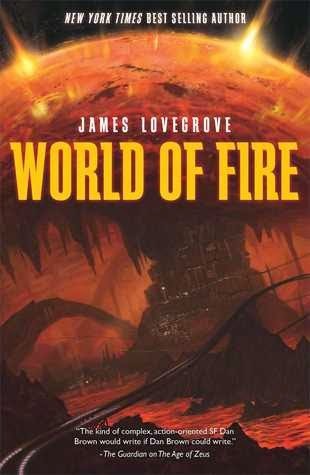 This time Dev has been sent to Calder’s Edge, a sweltering hot mining colony on Alighieri – hence the body modifications – and as soon as he arrives someone tries to blow him up. From then on it’s one thrill after another as he tries to uncover the cause of the earthquakes that are making the miners and colonists think about leaving for safer working environments. There are giant man-eating worms, brainwashed scientists, runaway trains and a local chief of police, Captain Kahlo, who won’t give him the time of day till he proves he’s not just another one of her problems. A few small things that are currently making me happy. Penguin Little Black Books: I love small books. I only read about twenty to thirty full length books a year, so the little Penguin books of the past have let me try a much wider range of authors that I would otherwise have got around to. 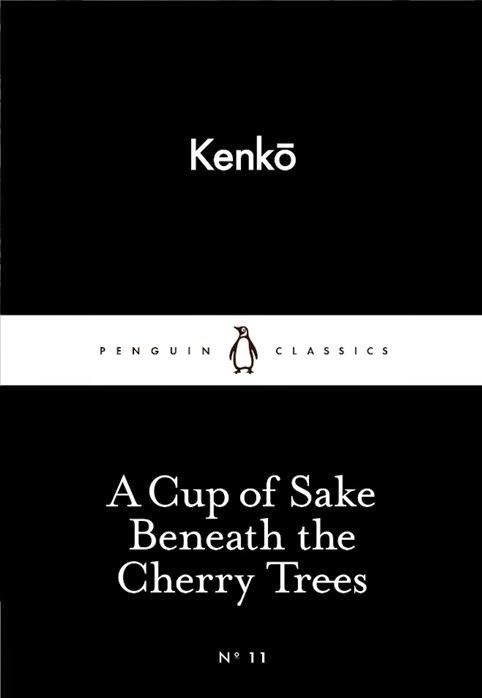 And Penguin are about to do a new series of eighty-page classics for 80p each. I’m going to buy them all, no doubt about that. The only question is whether to buy the print copies, or the slightly cheaper ebooks, or to wait for April for the box set. The return of Psych: I also love Psych, the US show about an extremely sharp-eyed doofus who pretends to be a psychic to help the police and his long-suffering best friend. The eighth season is at last being shown on UK TV. At some point this’ll be picked up for daytime BBC1 and become the hit it should have been, but for now it’s on Universal at 7pm on Sunday nights. Betty White’s birthday flashmob: To celebrate Betty White’s 93rd birthday the cast and crew and staff of Hot in Cleveland threw her a flashmob. That’s another show that seems to have made no impact at all in the UK, but at its best it’s among the funniest programmes on television. The kind of spirit and affection you can see in the flashmob video are there in the programme too. Our new living room table: It may sound daft, but having a big round table in our living room has been making me very happy. I resisted it for many years, but on Boxing Day Mrs Theaker gave me bacon butties for lunch and ginger beer all afternoon, and we watched The Expendables 3, You Only Live Twice and Dawn of the Planet of the Apes, and I was ready to buy anything she wanted. In the end, I love it. It’s great having somewhere I can sit and comfortably write, without going to a different room or turning my back on the children. The Hemingwrite has been fully funded: Still on writing, I backed the Hemingwrite on Kickstarter, the first thing I’ve ever backed on there. Perhaps I should have started with something a bit cheaper, but in this case I thought the risk was worth it. It’s a writing device with a proper keyboard, an e-ink screen, long battery life, and cloud backup. So, basically, an expensive upgrade to the Alphasmart which I still dust off every November. What it doesn’t have is cursor keys. It’s not going to let you move around in the text to add bits in or delete them. You can’t cut and paste. At first that put me off, and I assumed it was just down to the technical limitations of an e-ink screen. That is a factor, but the creators of the Hemingwrite have argued quite persuasively that this isn’t a replacement for your word processor, it’s more like your journal, somewhere that you just write and write without looking back. I find that very appealing. It’s how I write my novels each November. I wrote my first novel, Professor Challenger in Space, on a Sharp Fontwriter where the refresh rate was so slow that I might as well have been writing blind. When writing for long sessions on my PC, I unplug the mouse and put it away to stop myself straying from the text to other programs. Even writing reviews, more than once I’ve been stumped on a review with a deadline looming and then bashed out the basics of it in a single pomodoro splurge. So I’m really happy to have backed the Hemingwrite, I think it’ll really suit the way I work. It’s due to be delivered next September. I’m guessing they’ve chosen that date because a lot of people will, like me, be hoping to use it for next year’s Nanowrimo novel in November. Fingers crossed they come through. It’s going to be a long wait! Markdown and Multimarkdown: One side-effect of backing the Hemingwrite is that I got interested in the possibilities of using markdown and multimarkdown, a simple way of marking up plain text writing so that formatting can be applied later. I’ve been using it for lots of stuff ever since, like writing blog posts and reviews, and compiling the email bulletins I produce at work and for the BFS. It makes it so easy to add hyperlinks and headings, but best of all it makes my writing totally independent of the apps and programs that I’m using to do the writing. I’m writing this particular blog post in the excellent iOS app Editorial, but I could just as easily be writing it in Notepad++, Word, Google Docs, Simplenote, Scrivener, the iOS Notes app or anything else, because I can copy and paste the text from one to another as necessary without losing or messing up the formatting. To turn the plain text into neat html I use the compile mmd to html option in Scrivener. The Logitech k480 keyboard: This darling device has a dial that lets you switch between three attached devices, and buttons for connecting to new ones, which is such an improvement on the last Bluetooth keyboard I had: the Apple one, that wouldn’t connect to anything new unless everything else it had ever connected to was entirely switched off. Plus the k480 has a brilliant groove for holding tablets or phones in place. It’s given a new lease of life to my series one iPad, and made writing on other devices much, much easier. Recommended. And that is what’s making me happy this month. Entrenched within the Noah, an unimaginably vast city-spaceship, the remnants of mankind trek obdurately through space en route to a new home-world. Adults labour for the common cause, enduring whatever stringencies are necessary. Children are raised by the state, the course of their lives determined by aptitude tests and the latent strength of their psychic abilities. Hundreds of generations pass. The mission is everything. 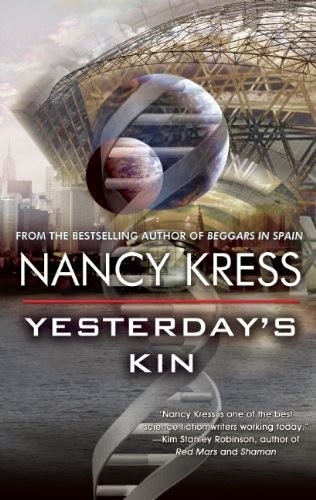 Yet, for all she has been indoctrinated to believe that species survival is paramount, telekinesist Hana Dempsey, suddenly at odds with the power-elite who run the ship, finds herself embroiled in an unsanctioned hunt for a serial killer who shouldn’t exist but whose grisly touch ghosts across the Noah’s Nth Web, hinting at a conspiracy beyond nightmare. In terms of concept, debut novelist David Ramirez with The Forever Watch sets out to walk a tightrope. Stylistically, he does so without a safety net. There are some wobbles along the way, yet by the end of the book there can be little doubt that, should he be able to repeat and build on the performance, he will garner sufficient reputation to secure a future in the profession. The Forever Watch is written in the present tense, which from the outset puts it in an odd minority. The shift in perspective requires a degree of acclimatisation – from both reader and writer; Ramirez sways woozily on a few occasions when shuffling from absolute to relative tense – but soon ceases to be a distraction. There is a sense of immediacy to eyewitness accounts presented in this way, particularly as Ramirez favours short sentences; the story is told through small blocks of thought, almost as if unfolding in real time. Further to the boldness of making a novel-length foray in the present tense, Ramirez transplants his authorial voice into a female protagonist for the first person narrative. Male writers have been (collectively) accused of underrepresenting women in science fiction. Ramirez therefore deserves credit for placing Hana Dempsey at the crux of his world; but of course, in doing so he lays himself open to all manner of possible criticisms as to the fidelity of his depiction. The men in the story are themselves a mixed bag: minor character Hennessy, for example, is given a certain depth, whereas Barrens (second billed behind Dempsey) is somewhat stereotyped to cyberpunk preconceptions and speaks in a jarring, unwarrantable pulp-detective patois. The characterisation of Hana serves perfectly well in the gender-neutral sense of moving the plot forwards; for some readers, however, judgment of The Forever Watch may ultimately come down to a verdict on whether Ramirez’s portrayal of her is closer to creditable or culpable. One undeniable strength of Ramirez’s work is his imagining of the Noah’s insular, pseudo-totalitarian society, the basic framework of which is established via an adroit series of flashbacks to earlier in Hana’s life (still written in the present tense) and then fleshed out as events unfold in the here and now. The world of The Forever Watch is vividly realised and integral to Ramirez’s story, yet has been unobtrusively (though very deliberately) brought to life. What is most impressive about this is not so much the creative vision but Ramirez’s commitment to what he has put in place; rather than preserve his setting for possible sequels, he instead allows the scenario to play out in full, affording scope not only for a symbiosis between action and locale but also for a novel that is unusual in its high level of self-containment. Having set off across the tightrope, Ramirez does falter slightly at about the quarter-way mark (there is a lull in impetus, which many will find off-putting), but he then takes a deep breath and forges ahead, letting the balancing act play out come what may. For all that each step follows the previous, the shadowy endpoint he reaches is considerably removed both from where Hana and Barrens started and from where we might have expected their investigation to lead. 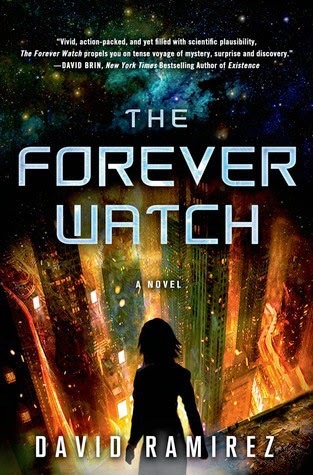 In what is a darkly satisfying, uncompromising debut, The Forever Watch sends an exotic, visceral shiver through the dystopian genre, and in doing so flags Ramirez as an author to be kept under close observation. Thought 1. The first in a new series: questions I have been asked by the radio. What resolutions have you made for 2015? Thanks for asking, radio, but none this year. There are things I’d like to do, like writing and publishing reviews more quickly after reading books. I’d like to get back onto my “small plate diet”, once the Christmas goodies have run out. I’d like to say no to more things, so that I can take the time to enjoy doing the things I choose to do. But no resolutions this time. Thought 2. Theaker’s Quarterly Fiction #50 is far too long. It’s taking me forever to get it done, and I got distracted for a while last year by helping out on the BFS Journal again. But it’s on the way, don’t worry. Proofs should be with all contributors this weekend. Thought 3. I have been having great fun of late after hooking a wired Xbox controller up to my PC and using Xpadder to interpret its commands, e.g. using the triggers to page up and page down when proofreading. It’s very groovy in Word, where I’ve hooked up the controller face buttons to my favourite editing macros. For example, pressing Y highlights the next word and adds a “Look up and check!” comment to it. Thought 4. I’ve been struck lately by the weirdness of doing so much on-screen editing work on an A4 page, when pretty much nothing I work on in Word ever gets printed out from there. (I’m not a fan of Normal view.) So when reading subs now I change them to a landscape 13 cm x 29 cm page to snugly fit my screen, and working on other stuff I default to A5. Free your mind, dude! Thought 6. A few years ago I had an email chat with an author who admitted using Fiverr to pay for reviews of her book, All My Love, Detrick. She told me that everyone makes mistakes, and the important thing is to learn from them. Well, the book is now up to 296 five-star reviews and 105 four-star reviews. Wonder how that happened? What’s the point of a text-only graphic novel? I’ve enjoyed a few superhero stories in recent years – Austin Grossman’s Soon I Will Be Invincible being a good example. Yet I find they share a common problem: they try to tell the Pop Art tales of their greatest influences with solid but conservative prose. Competing with comics on comics’ terms, they’re always bound to pull up short. And this is speculative fiction we’re talking about here – chock full of mind-melting ideas and techniques half-inched from serious literature, underway well before Superman was a twinkle in Jerry Siegel and Joe Shuster’s eyes. A good superhero novel should then draw strength from the novelistic tradition at least as much as from its forebears in the funny papers. Lavie Tidhar’s The Violent Century goes at least some way towards demonstrating this point. Central to the novel is the idea that, while American costumed crime-fighters, Nazi Ubermenschen and Soviet champions of the proletariat clashed in public, Britain trained its special talents instead as secret agents and players in the great game of espionage. As the novel opens in the present, Fogg, a telekinetic British operative long since retired, is recalled by an old comrade for one final debrief on an unresolved matter dating back to the end of WW2. His interrogation frames stories of adventure, horror, love and collusion across enemy lines from the past – each revealing more of the real reason for his summons. Since it draws on war stories and Cold War thrillers more than it does Marvel and DC, The Violent Century sidesteps the anxiety of influence affecting previous superhero novels. Despite a few sly references to Stan Lee and Siegel and Shuster, it’s confidently its own work. While reading the novel is an intensely visual experience, the movie in your head is less Avengers Assemble, more Inglourious Basterds. Tidhar shows himself to be master of the tone needed, writing vignette after vignette from the battlefields of Europe. Using the tropes of spy novels also allows an altogether more pessimistic take on the uses and abuses of power than you’d normally find in a four-colour universe. As you might expect, Fogg and his fellow British spies owe more to George Smiley than to Nick Fury, but the costumed heroes with which they coexist are not one whit less morally compromised. Beating the Nazis and the Soviets – the book suggests – comes at the cost of gradually sacrificing one’s own principles. Does The Violent Century make the case for the superhero novel as something with real merit in its own right? For me, it’s a resounding maybe; since the book makes most sense as a stylistic exercise, a playful what-if, rather than something with serious intent behind it, in practice it lends support to either view. Yet while it might not be the return favour that superhero comics still owes literature for Watchmen, it is fun, fast and deeply atmospheric. 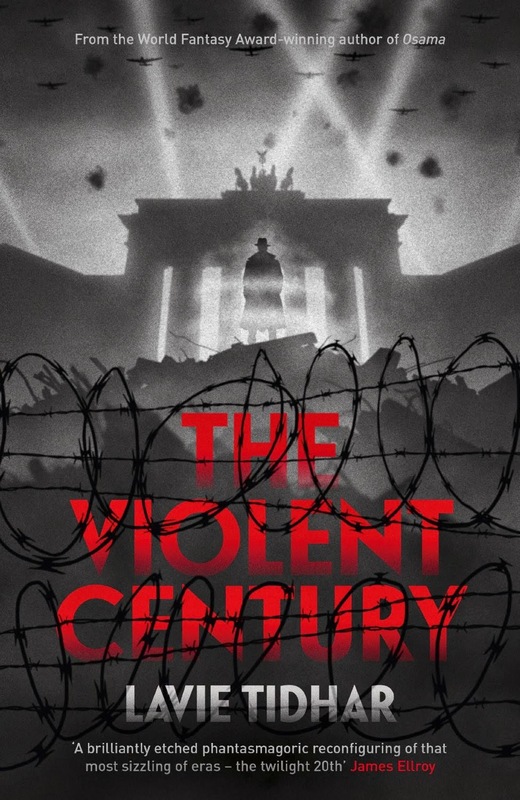 I’m glad that The Violent Century exists as a novel, rather than being confined to panels and speech bubbles. And that, at least, is progress. 1987. 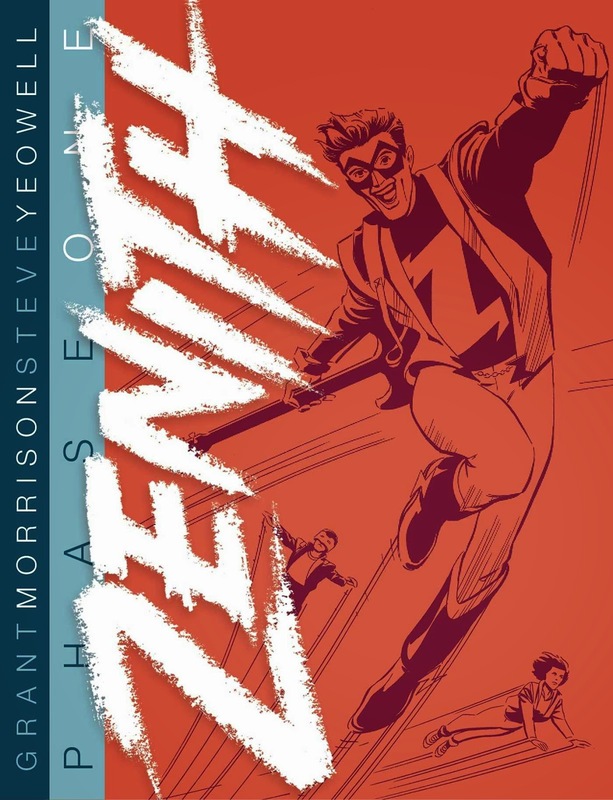 Zenith is a pop star superhero who has never bothered learning to fight; there are no super-villains, so why bother? His closest friend seems to be his agent, and his power levels are determined by his biorhythms, so they are careful to schedule public appearances for the right time of the month. The only cloud in his bright blue sky is that he doesn’t know what happened to his parents, Dr Beat and White Heat. Or at least it was the only cloud, until the return of Masterman, the Nazi superman last seen when the US dropped an atomic bomb on Berlin in 1944. Turns out he wasn’t so much a superman as the vessel for a dark god come down from overspace, and the Order of the Black Sun have now prepared a new, even more powerful body for it. Zenith will need the help of what’s left of the last generation of superheroes to survive the coming battle. This comics collection was previously published by Titan in the eighties but Zenith, like his close cousin Miracleman, then went out of print for a long time, there being questions over rights and ownership. That made it one of the few Grant Morrison stories that I hadn’t yet read in full, and I appreciate it being available even while hoping no one’s rights are being trampled. In the context of his career it can be seen as leading neatly into both the superhero work and the weirder stuff. 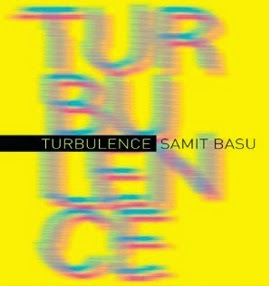 Turbulence by Samit Basu (digital audiobook, Audible Ltd, 10 hrs 18 mins) is read by Ramon Tikaram, so, of course, having theoretically appeared in one of his sister’s music videos I was well disposed towards it from the off. Vir Singh, a young Indian pilot, has acquired super-powers, and as the novel begins we meet him flying through the air on his way to interfere with Pakistan’s nuclear weapons programme. He is not the only one with new powers. Everyone Uzma meets falls in love with her, and she hopes to parlay that into a film career. Aman, a young man who can interface directly with the internet; Narayan, a scientist who builds mad devices in his sleep; Tia, a duplicate-triplicate-infinite girl, and so on. (Apologies for any spelling mistakes – names are always tricky when reviewing an audiobook.) All must come together to fight Jai, a soldier who, like all the others, got exactly what he wanted, from whoever or whatever it was that gave them these powers: for Jai, that was to be the perfect soldier, powerful and indestructible. 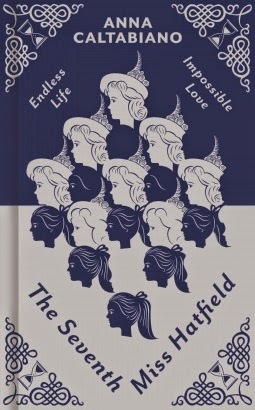 The Seventh Miss Hatfield (Gollancz, ebook, 3320ll) is a novel by Anna Caltabiano, suitable for young teenagers, about a young woman who impersonates the niece of Mr Beauford, a wealthy steel magnate, in order to steal one of his paintings. The year is 1904. While undercover she begins to fall for the steel magnate’s son, Henley, who quickly rumbles her as an imposter, and what was originally planned as a quick theft turns into a months-long stay. Handsome Henley is promised in marriage to another, the vain and proud Christine Porter, and though the thief knows she cannot stay, and certainly cannot marry the man, the thought of separation is breaking both of their hearts. So why, you might be asking (and probably not for the first time), is this book being reviewed here? Because it’s being sold as a literary fantasy, rather than a historical romance. Look at that lovely cover. I expected a literary modern fantasy in the vein of The Rabbit Back Literature Society, but got instead a book that would have been too tame and unadventurous for my children. There is a fantasy twist to the story sketched out above. 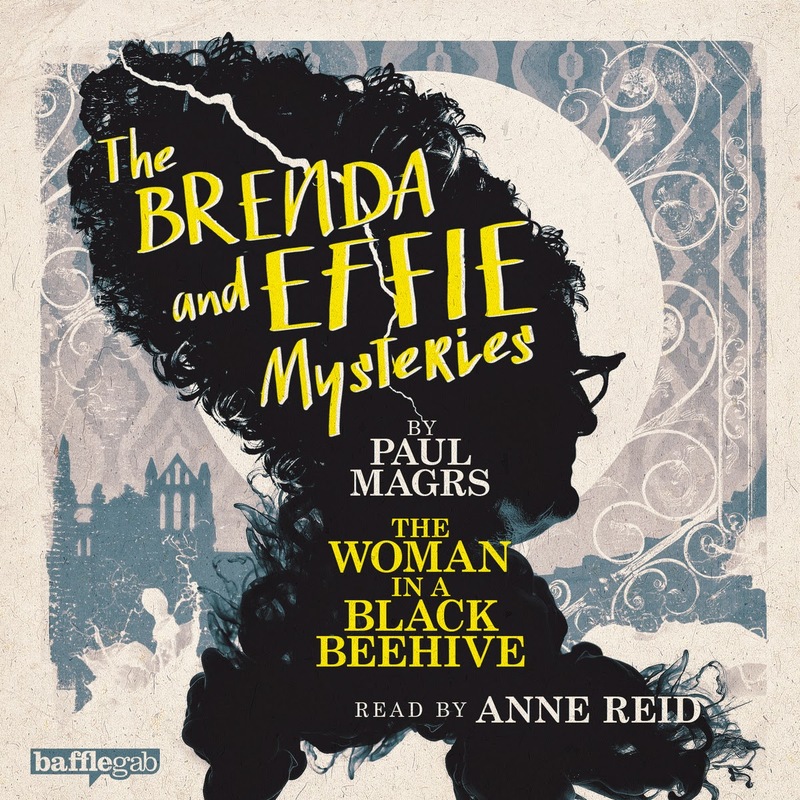 The indolent thief begins the book as Cynthia, an eleven-year-old girl in 1954, who upon visiting the home of the mysterious Miss Hatfield (sixth of that name) is dosed with a drop of the elixir of life, turning Cynthia into the seventh Miss Hatfield. Now eternal, barring accidents, they have the ability to travel in time, and the sixth Miss Hatfield uses that to age her successor to adulthood. Before the former Cynthia can get on with the fun of being a time-travelling eternal, Miss Hatfield number six has a little job for her: the painting theft mentioned above. It takes a conversation that lasts almost a fifth of the book to get to that point, and from then on we are into romance territory, where the only real nods to time travel are that number seven has a slightly poorly tummy, which gets worse the longer she stays in the past. This is used in an attempt to add a bit of urgency to the proceedings, albeit with unintentionally comic effect as number seven mentions it, then casually notes another week or three having gone by. It doesn’t help that our protagonist isn’t worthy of that label. She is slow to act, inertia her primary characteristic. If she were a Doctor Who companion every episode would last a fortnight. All she needs to do is steal a painting, or even destroy it – there’s no need at all for her to spend months waiting for the right opportunity. She doesn’t seem to worry too much about number six’s strange actions towards her, and just follows her orders. She is exceptionally callow and selfish, being for example quite happy to let everyone (including Mr Beauford himself) think Mr Beauford is a lunatic when she knows full well he is not, just in case. She sets great store on being polite to Mr Beauford’s servants, but doesn’t worry too much about the overall unfairness of a system that would leave a young woman being grateful to receive the scrapings from her plate. Maybe that’s down to Cynthia’s original age, but the book doesn’t make that explicit. The way that she is a eleven-year-old in a twenty-five-year-old body could potentially have been interesting, though that potential has been explored previously in films like Big and Freaky Friday, but the book shows no interest in this. There is no sign here that adult relationships are any different to those of eleven-year-olds. Cynthia grows up in a flash, but the book doesn’t explore what she has missed in the interim. You can’t help thinking that if the book wanted a grown-up main character, it might as well have started with one. Epic trilogy closes with brutality and finesse. If you’re seeing this film in the theater, do not buy a giant soda: there is no good time to go to the loo. The dragon Smaug is pissed. The Dwarves have banished him from the treasure-filled Lonely Mountain that he stole from their ancestors. Now the fires rage in Smaug’s belly as he approaches the human-occupied Lake-town to take out some of his frustration. Thus begins a riveting opening sequence that will set the tone for the final installment of director Peter Jackson’s The Hobbit trilogy. The film’s title, The Hobbit: The Battle of the Five Armies, makes a hefty promise: there aren’t just two, three, or even four armies destined to clash. This is J.R.R. Tolkien, and this is epic fantasy in which the fate of the world is in jeopardy. So in the end, five armies will go at it! And Peter Jackson continues to deliver what he has brought in all his adaptations of Tolkien’s classics since the Fellowship of the Ring first gathered back in 2001: acts of valour and treachery, displays of inhuman (Elven, to be precise) agility, seemingly insurmountable obstacles overcome, and speeches that, despite the often small stature of their speakers, deliver a wallop. Word has spread that Smaug has left the treasure. Now everyone wants a piece. The Men of Lake-town want the share that Thorin Oakenshield, leader of the Dwarf band now holed up in the Lonely Mountain, promised. The Elves want to reclaim a handful of gems (also in the mountain) sacred to their race. And unbeknownst to most, the ruffian Azog is leading a massive Orc army to the Lonely Mountain. Dwarves, Elves, Men, Orcs, and a mysterious fifth army. The movie builds toward the battle outside the entrance to the Lonely Mountain. It is coming, it’s going to be big, and at its center bravely stands Bilbo Baggins, the series’ namesake, in all three feet of his splendor. Most of the fate of Middle-earth rests on Thorin Oakenshield, the heir to Erebor (i.e., the Lonely Mountain). There’s just one problem: Thorin seems more interested in protecting the mountain’s treasure hoard than he is in keeping peace or helping his Dwarf race survive. For all those who want to stake a claim to the mountain’s treasures, forget it; Thorin is in the throes of the gold sickness that claimed his father. Thorin’s growing greed disappoints traveling companion Bilbo Baggins, jeopardises Dwarf relations with the Men and the Elves, and has the potential to allow evil to overtake the world. It’s the money thing. During discussions with his Dwarf companions and with Bilbo, Thorin reveals the extent of his depravity. His face alters as he tells fellow Dwarf Dwalin that he isn’t above killing other Dwarves to get what he wants. During a conversation between Thorin and Bilbo, the camera shows an extreme close-up of Thorin as the film speed slows and he vows that he “will not part with a single coin”. It would take a monumental self-discovery for Thorin Oakenshield to change his ways, and monumentality is what The Hobbit films are all about. The battlefield action offers everything one would expect from a Tolkien-inspired Peter Jackson film: destruction, gigantic creatures, displays of bravery, and acts of cowardice. Though the full-scale battlefield action is enjoyable—note the contrast between the gleaming and orderly Elven army and the comparatively uncouth Dwarf army—what impresses most is when protagonists confront their Orc nemeses in one-on-one action. Watch for the battle on ice in which an Orc tries to crush his much smaller adversary by swinging a chain attached to a massive block. At some point in the battle, the filmgoer is likely to question whether Legolas will enter the fray. Enter he does! From his transit into the action to his fight with a key antagonist, the Elven master bowman holds his reign as the most exciting character to watch in action. Best of all, we know that Legolas won’t die: he’s in the The Lord of the Rings adventure that follows. On the surface, this film is all about fighting. 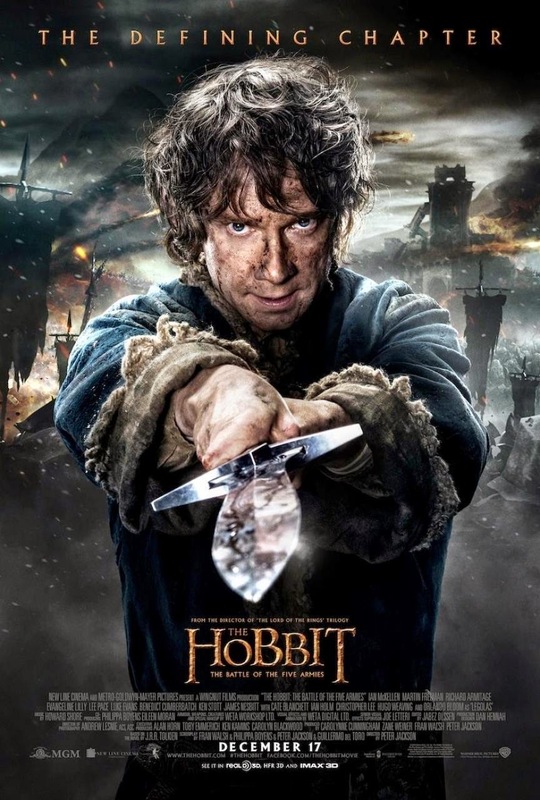 Note the film’s title, or the posters that depict Bilbo Baggins brandishing his little sword. However, despite this heavy focus on physical battle, the fate of Middle-earth also hinges on a Hobbit whose true power lies not in battlefield skill, but rather in guile. What Thorin Oakenshield wants most is the Arkenstone, a jewel that he needs to consummate his power. Thorin commands his followers to find the stone amongst the mountain’s treasures, but Bilbo has a trick up his sleeve, or rather in his pocket: concluding that more harm than good may occur if Thorin gets the stone, Bilbo selflessly conceals it. This decision comes at great risk to the Hobbit, for if Thorin discovers the truth, he will likely kill Bilbo. Bilbo also gives the filmgoer a character with whom to identify. When we see the agility of the Elves, the strength of the Dwarves, and the barbarity of the Orcs, we might feel as helpless as Hobbits on the battlefield. Martin Freeman’s Bilbo Baggins, with his curious expressions and his occasional nose twitch, gives us a down-to-earth traveling companion who makes us comfortable and gives us a moral ideal toward which to aspire. Repeatedly, Bilbo proves his friendship to Thorin and to the Dwarves. Even when Thorin wallows in his gold sickness, Bilbo manages to evoke a smile. In a brief scene near the end of this film, Gandalf the Grey (wizard) sits beside Bilbo. While the wizard taps and prods his trademark pipe, Bilbo twitches his nose and appears to struggle to find words. Their quest has been long and arduous. They have experienced major triumphs and major losses. These friends who started the journey to Erebor together decide to withhold the dramatic speech and instead, simply smile at one another. Some might consider this a throwaway scene, but this reviewer considers it among the most touching scenes in the series. Read Ogurek’s review of The Hobbit: An Unexpected Journey. Read Ogurek’s review of The Hobbit: The Desolation of Smaug.